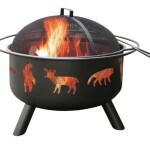 Bring the warmth and ambience of a fireplace to your patio, deck or backyard with this Endless Summer LP fire pit, by Blue Rhino. 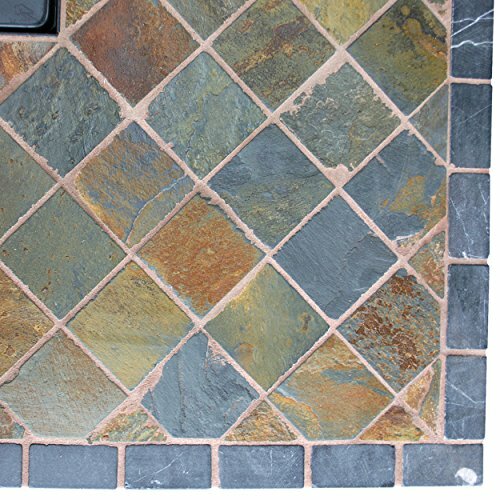 Featuring a slate mosaic tile mantel, this fire pit is complete with a decorative base, that cleverly conceals a propane tank (not included) and control panel, making it an attractive centerpiece for your outdoor living space. 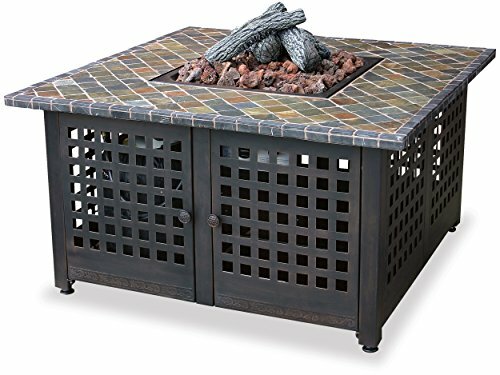 Complete with a 40,000 BTU cast iron burner, you can enjoy all the ambiance of a classic fire, without the mess of tending ashes. 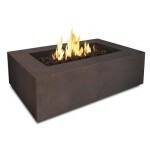 Adding to the elegance, this unit comes with lava rock and logs, which beautifully accents its flames. 1-year limited warranty and protective cover included.